Do you have an idea for an online course but don’t know where to start? Do you feel a bit overwhelmed by the eLearning options that are available to you? For instance, which Course Management System will you choose? Which platform should you design your eLearning site on? How much should you charge for your eCourse? How will you accept payments? Well, if you’re at the starting line, and crouched down in the runners starting position, but you just can’t seem to push forward, then you might find a free little productivity tool that uses the pomodoro techniques called Focus Booster helpful. I’m using it to write this blog post right now. And it’s working… but how? Focus Booster is a simple timer. How will it work? Well you can use it in a couple of different ways. 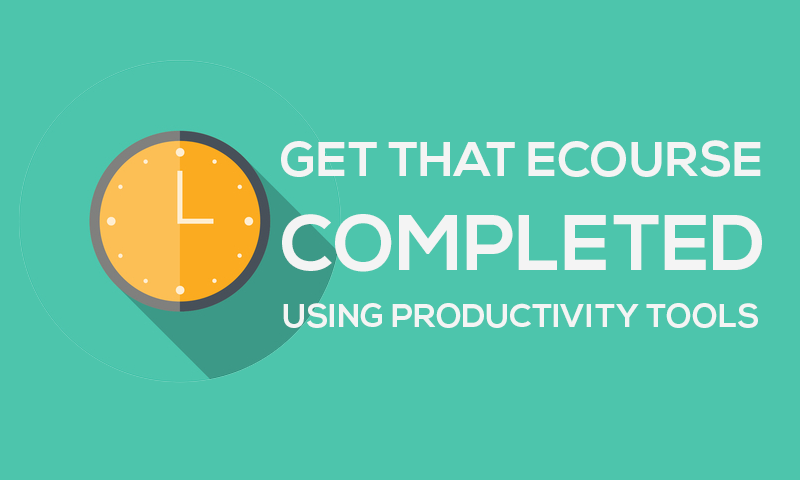 First, you can use these types of productivity tools to help you get started. Maybe all you need is someone (or something) to give you that first little nudge you need to start moving forward. It’s often the task of starting the project that stops us from making any progress on it at all. You can use Focus Booster as a countdown tool to your “start time”. For example, just set it for 5 minutes. When you hear the bell it’s time to begin. Essentially, you’re giving yourself the equivalent of the starting pistol “bang” that runners hear at the start of a track and field race. Sometimes we just need to hear that audio cue to start a process in motion. Secondly, you can use productivity tools to help you move forward in creating your eLearning courses. These tools can help you manage the time you spend on each task. For example, let’s say you have the goal of completing 2 course units today. For simplicities sake, lets assume both are podcasts you plan to use as lectures within your eCourse. You can use tools like Focus Booster to establish completion deadlines for each task. It helps you put the pressure on and gives you both audio and visual reminders of how much longer you have to complete the task. This is important because eCourse creators often find themselves slaves to Parkinson’s law, which is the adage that “work expands so as to fill the time available for its completion”. Which is a fancy way of saying: if you give yourself 2 days to complete a task, it will take you 2 days. If you give yourself 4 days to complete the same task, it will take you 4 days. So although these time management tools are simple, they work because they help us fight back against old Mr. Parkinson. I’m using it to write this blog post right now and I’m down to 9 more minutes longer to complete this post so I’m going to wrap it up here to ensure I have some editing time. But before I do let me tell you a little bit about the science behind the tool. You can go to the Focus Booster website (I’ve included the link below) to learn more about how the software works, but I’ll summarize it here for you with a quick quote from their website. The pomodoro technique uses a timer to break down periods of work into 25-minute intervals (referred to as ‘pomodoros’ or ‘pomodoro sessions’). These intervals are separated by breaks (the standard is 5 minutes). Pomodoro time management is based on the theory that frequent breaks can improve mental agility. Are you interested to see if it can make you more productive and help give you the push you need to start or complete your eCourse? Well the tool is free so you can go give it a try by visiting the Focus Booster website here.